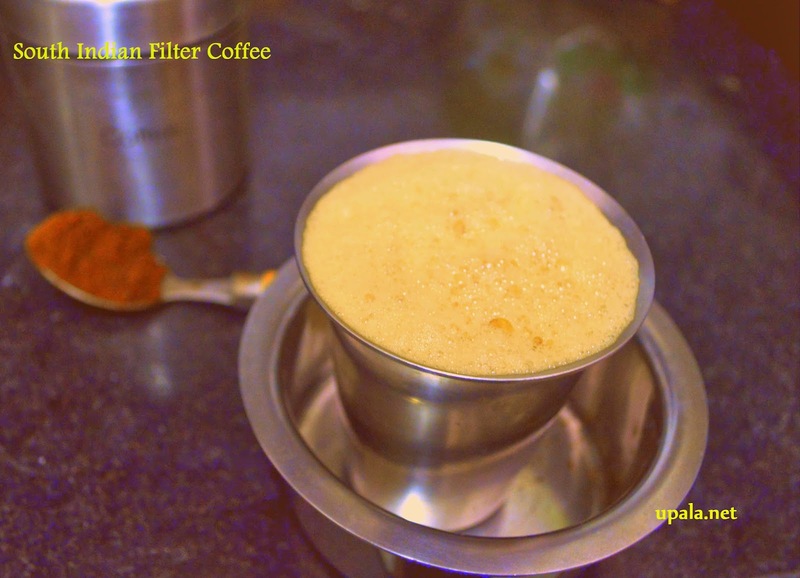 traditional dubrah tumbler and nice aroma in early morning is the trademark of South Indian filter coffee. 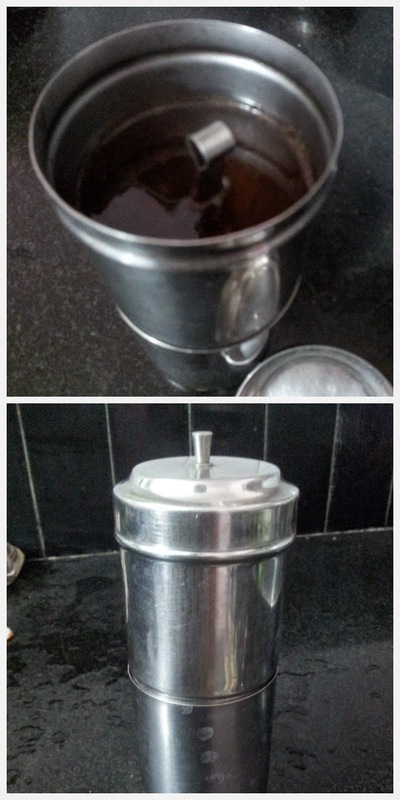 As a child I have seen my grandparents drinking filter coffee in silver dubrah tumbler set from that time onwards I was developing the craze to have coffee but my mom never allowed me to drink coffee till I entered my college but it was worth waiting!!! 1) Add 4 tbsp of coffee powder to upper part of filter and keep the small plate with handle (that comes with filter) over the powder and gently press. 2) Bring the water to a rolling boil in a separate container. Water should be really hot. 3) Keep the top portion of filter over the bottom portion. 4) Add hot water to coffee powder. 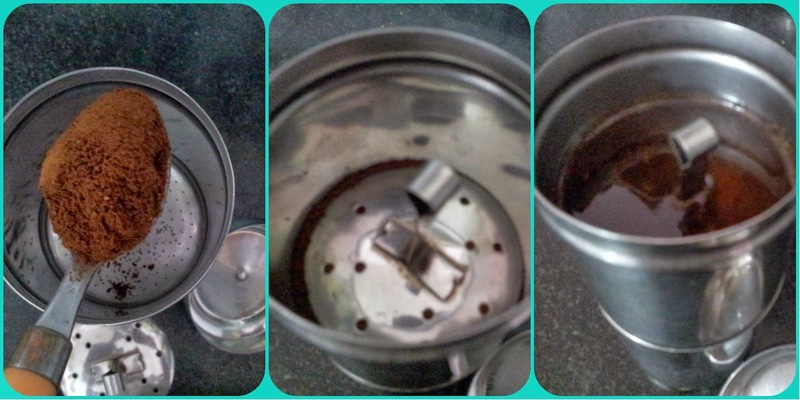 5) Close the top portion of filter with lid and let undisturbed. 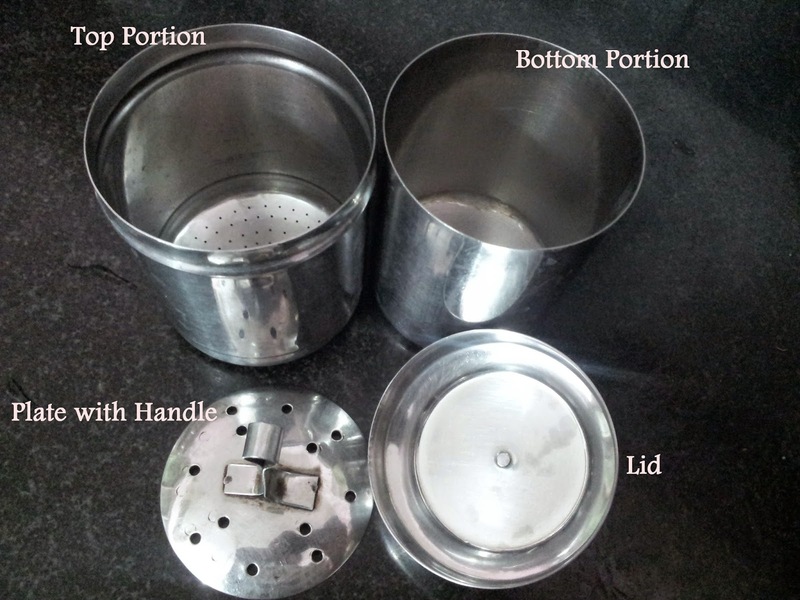 6) Coffee Decoction will be stored in bottom part of filter. 1) Boil Milk in a container. 2) Pour some decoction in a cup and add hot milk and sugar. 3) Now its time for makeing froth that adds up some volume and its eye appealing also. 4) Pour back and forth between traditional dubrah and tumbler to make nice froth. 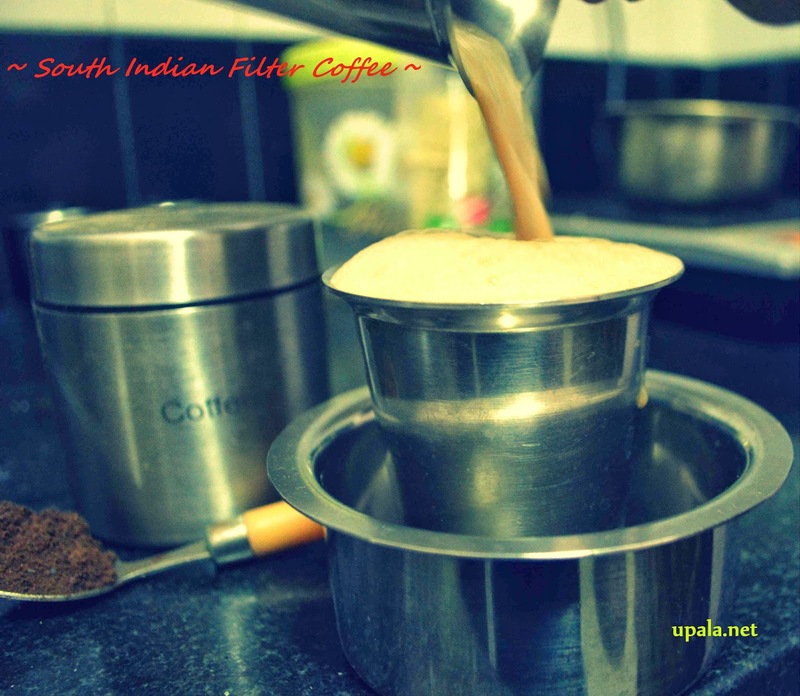 Filter coffee is ready to served with great aroma and lots of froth in a traditional way!!!!! 1) First decoction will be strong and when you brew the second one by pouring some more hot water it will be light. 2) Once a week check the top portion of filter whether any clogs are there in filter and clean with a needle and pour hot water to remove clogs. 3) Reheating the coffee will lose its flavour but in case you want to reheat the best way is to boil some water in a vessel and keep your coffee tumbler immersed in it instead of heating directly.